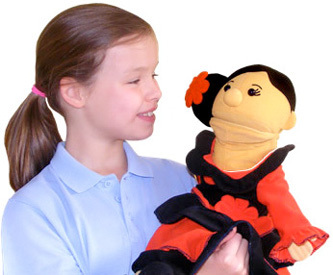 Experience the confidence-boosting power of using puppets in your Spanish lessons. 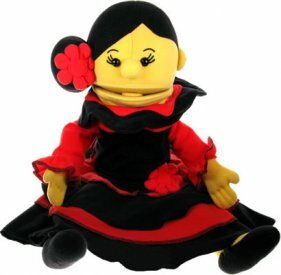 Cristina, a fun Spanish themed hand puppet will be a welcome addition to your class, helping to engage your pupils, encouraging them to speak Spanish and creating an enthusiasm for language learning. Cristina features a moving mouth and is approx. 50cm high. The puppet was in good condition, children in my centre like the puppet and helps me to engage them into their language lesson. All the children love her! Excellent quality and value for money. thank you yet again Little Linguist for providing these excellent resources. Cristina is the new addition to my Spanish class, she's beautiful and the children love her.